Copyright infringement is violating an owner’s exclusive rights to a work of art, granted by the federal Copyright Act, by the use of protected works without permission. The use of copyrighted works is unauthorized unless consent is given by the owner. 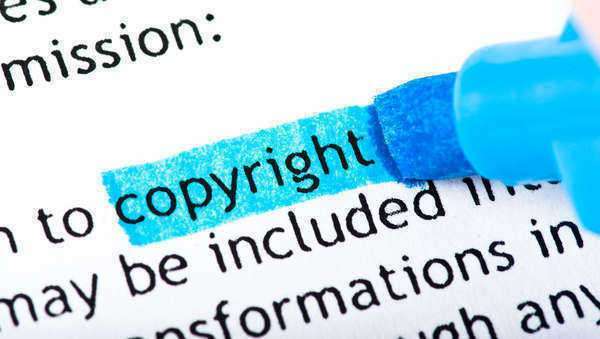 A copyright owner has the right to reproduce the work, prepare imitations of their copyrighted work, distribute their work, and perform or display the work publicly. To demonstrate a valid copyright infringement claim, a plaintiff must show ownership of a copyright and show that the defendant has copied elements of the work that are original. Milo & Gabby LLC v. Amazon.com. Case No. C13-1932 RSM. United States District Court Western District of Washington at Seattle, November 2015. Almeida v. Amazon.com, Inc., 456 F.3d 1316 (11th Cir. 2006). This case is an appeal to the district court decision that granted summary judgment in favor of defendant Amazon. Plaintiff claimed that Amazon’s use of her image in furtherance of sale of a book on its website violated her right of publicity and she claimed invasion of privacy and theft as well. The court here affirmed the district court’s decision because plaintiffs right of publicity claim based on Fla. Stat. § 540.08 would not withstand a motion to dismiss, it was unnecessary for the district court to determine whether the CDA preempts Almeida’s state law right of publicity claim. As to the theft claim the court here held that plaintiff failed to present any evidence that Amazon misappropriated her image with actual knowledge that its used was unauthorized. A’lor Int’l v. Tappers Fine Jewelry, Inc., 605 Fed. Appx. 662, 2015 U.S. App. LEXIS 8548 (9th Cir. Cal. 2015). This was a copyright infringement case in which A’lor International, Ltd. appealed a summary judgment order that ruled in favor of its competitors who are producers, distributors, and retailers of jewelry. The Court chose to uphold the district court’s application of thin copyright protection because it agreed that plaintiff’s designs contained a small number of elements and thus weighed against broad protection because there are few combinations that these elements could yield. Blagman v. Apple Inc., 2013 U.S. Dist. LEXIS 71280, 107 U.S.P.Q.2D (BNA) 1699, Copy. L. Rep. (CCH) P30,433, 2013 WL 2181709 (S.D.N.Y. May 20, 2013). Here, plaintiff filed a class action claim stating the defendants failed to ensure the music consumers download on their sites is licensed before distribution. Defendants filed a motion to dismiss the class action complaint, the plaintiff’s individual claim, and motion to strike class allegations. Defendant’s motion to dismiss the plaintiff’s individual claim is denied because the plaintiff states a valid claim of infringement. The class allegations properly state a claim on behalf of the proposed class. The court found that dismissing the claim in the complaint stage would not be proper without hearing all the evidence that would come up in discovery. Brickey v. Amazon.com, Inc., 2014 U.S. Dist. LEXIS 97479, 2014 WL 3566566 (W.D. Tex. July 18, 2014). The court here was determining whether actionable copying occurred here in the form of unauthorized sales of plaintiff’s CD, such that defendants motion for summary judgment would be proper. The court found that no actionable copying took place because under the “first sale doctrine,” Amazon was the rightful owner of the CD and thus had the right to sell it. The court also found that plaintiff did not allege any facts to show sales that would not be subject to the “first sale doctrine.” Defendants motion for summary judgment was granted. Brickey v. Amazon.com, Inc., 2014 U.S. Dist. LEXIS 9297, 2014 WL 297979 (W.D. Tex. Jan. 27, 2014). The court was determining whether to grant defendants motion to dismiss for failure to state a claim, where plaintiff was seeking punitive damages under the Copyright Act. The court found that both the Copyright Act and the case law that interprets it do not indicate that congress intended to authorize punitive damages and thus the claim was not “plausible on its face.” The court therefore granted the motion to dismiss. Brickey v. Amazon.com, Inc., 2014 U.S. Dist. LEXIS 22304 (W.D. Tex. Feb. 21, 2014). Here, the court was determining whether plaintiff provided sufficient evidence of copyright infringement to establish that no genuine issue of material fact exists and that he was entitled to judgment as a matter of law. The court finds that there was an issue of material fact as to whether any copyright infringement actually occurred here. The court thus denied the motion for summary judgment. Carlin v. Bezos, 2016 U.S. App. LEXIS 9372 (3d Cir. Pa. May 23, 2016). In this case the court affirmed the lower court’s grant of defendant’s motion for summary judgment as plaintiff failed to provide evidence sufficient to state a claim for copyright infringement. Chambers v. Amazon.com Inc., 632 F. App’x 742 (4th Cir. 2015). The court here was determining whether the court below erred in adopting the Magistrate’s recommendation that this case be summarily dismissed because plaintiff did not state any facts in which it could be reasonably inferred that DMCA or Copyright Act violations were present. Here, the court found that the decision adopting the magistrate’s recommendation was proper. Plaintiff failed to allege sufficient facts to support either a Copyright or DMCA claim against defendants. Thus, the court affirmed the court below issuing an order for summary judgment. Chambers v. Amazon.com Inc., Civil Action No. 3:14-cv-4890-MGL, 2015 U.S. Dist. LEXIS 85367 (D.S.C. July 1, 2015). The court here is determining whether it should adopt the decision of the Magistrate judge below and summarily dismiss this case. The court, agreed with the Magistrate, and found that plaintiff’s arguments failed to cast any doubt on the findings of the Magistrate. Plaintiff’s evidence only provided evidence for plaintiff’s alleged damages. The court thus entered an order to summarily dismiss this case. Chambers v. Amazon.com Inc., No. 3:14-4890-MGL-PJG, 2015 U.S. Dist. LEXIS 85596 (D.S.C. Feb. 5, 2015). The court here was determining whether to summarily dismiss this case. The court found that although the it must liberally construe a pro se complaint, the plaintiff’s allegations were found to be speculative and conclusory. Therefore, the claims were insufficient to show a violation of the Copyright Act or the Digital Millennium Copyright Act and the court recommended summarily dismissing the claims. Clark v. Amazon.com, 2006 U.S. Dist. LEXIS 69278 (E.D. Cal. Sep. 25, 2006). The court here was determining whether to recommend granting the plaintiff’s motion for injunctive relief that would stop defendant from selling plaintiff’s copyrighted book on its site. The court recommended denying injunctive relief. The court found that plaintiff had not demonstrated irreparable injury and that plaintiff delayed too long in seeking injunctive relief. Thus the Magistrate recommended that the motion be denied. Clark v. Amazon.com, No. 2:05-cv-2187-GEB-DAD-PS, 2006 U.S. Dist. LEXIS 78151 (E.D. Cal. Oct. 26, 2006). Here the court was deciding whether to adopt the magistrate judge’s recommendation to deny plaintiff’s application for a temporary restraining order. The court denied the application because it found the recommendation to be supported by the facts as well as the magistrate’s analysis. Clark v. Amazon.com, 2:05-cv-2187-GEB-DAD-PS, 2007 U.S. Dist. LEXIS 28896 (E.D. Cal. Apr. 19, 2007). Here, Plaintiff’s claim was recommended to a magistrate judge who issued a recommendation to deny plaintiffs motion to dismiss. The magistrate recommendation contained notice that any objections to the recommendation be filed within 10 days. Here, plaintiff had filed objections to the recommendation. The court was thus determining whether to adopt the recommendation of the magistrate. The court held that the recommendation was supported by the record and the magistrate’s analysis. The court ordered full adoption of the recommendation and a denial of the plaintiff’s motion to dismiss. Clark v. Amazon.com, CIV S-05-2187 GEB DAD PS, 2007 U.S. Dist. LEXIS 19679 (E.D. Cal. Mar. 20, 2007). The court as determining whether to recommend granting plaintiff’s motion to dismiss. The court found that because defendants had a pending motion for summary judgment and subsequently plaintiff’s filed a counter motion for summary judgment, that plaintiff’s motion for dismissal be denied. The court recommended that plaintiffs’ notice, that was construed as a motion to dismiss, be denied. Clark v. Amazon.com, No. CIV S-05-2187 GEB DAD PS, 2007 U.S. Dist. LEXIS 34314 (E.D. Cal. May 10, 2007). The court here was determining whether the magistrate should recommend summary judgment where both parties have filed cross motions for summary judgment. The court recommended denial of the plaintiffs’ motion because they failed to allege that defendants had knowledge of any copyright infringement. The court recommended granting the defendants motion because the “first sale doctrine” applied and defendants had the legal right to sell the copyrighted material. In this case plaintiff claimed to have copyright interests in two photographs that Amazon placed on it’s website IMDb.com as well as hundreds of photographs that were being sold by vendors on Amazon.com without Plaintiff’s permission. Amazon is protected from liability under the DMCA for copyright infringement occurring on its third party vendor platform because Amazon qualifies as an Internet Service Provider protected under DCMA, does not have an affirmative duty to police possible infringement, but must also take reasonable steps if is alerted to infringement. Crowley v. Cybersource Corp., 166 F. Supp. 2d 1263, 2001 U.S. Dist. LEXIS 17020 (N.D. Cal. 2001). In this case, Amazon filed a motion to dismiss by challenging the claims and also filed a motion for improper venue on the basis of a forum selection clause. The court determined that the forum selection clause only applied to the agreement and not to the privacy claims that were brought up in this case and therefore denied the motion. However, the court granted Amazon’s motion to dismiss because Crowley failed to state a claim under the Wiretap Act and the ECPA. Ricchio v. Amazon.com, Inc., 2012 U.S. Dist. LEXIS 147193, 40 Media L. Rep. 2481, 2012 WL 4865016 (E.D. Wis. Oct. 12, 2012). In this case plaintiff was accusing Amazon of copyright infringement. Plaintiff authorized 365 copies of his book for sale on the Amazon platform, but subsequently found out that Amazon had eventually allowed third party sellers to sell his book on the platform as well. Plaintiff did not receive compensation for any of the third party sales. The court found that plaintiff failed to state a claim for copyright infringement. Plaintiff alleged only that defendant was allowing third party sales of the book without authorization, but plaintiff did not claim that any of the books being sold on the Amazon platform were counterfeit. Felix The Cat Prods. v. Cal. Clock Co., 2007 U.S. Dist. LEXIS 25290, 2007 WL 1032267 (S.D.N.Y. Mar. 29, 2007). This is a case alleging trademark and copyright infringement that the defendants motioned to dismiss for failing to state a claim of relief. Defendants are both manufacturers and sellers of Felix the Cat “Kit Kat Clock” products. The court granted the defendant’s motion to dismiss based on failure to plead copyright infringement and denied all other claims. The plaintiff did not state specific facts about what acts and time the alleged infringement occurred. There has to be factual allegations to give the opposing party fair notice of the claims against them. The court denied defendants motion to dismiss claims against the probability of confusing the two products because the plaintiff may have been able to provide facts to support this claim for relief. Gibson v. Amazon.com, 2011 U.S. Dist. LEXIS 102065, 2011 WL 4020187 (C.D. Cal. Sept. 8, 2011). This is a case involving defendants’ motion for summary judgment and plaintiffs’ motion for summary judgment, involving the sale of plaintiff’s book on the Amazon platform. The court granted defendants’ motion and plaintiffs’ motion as denied because there was no support for a claim of copyright infringement. Amazon had neither published nor sold the book in question, their only involvement is through third party sellers which was legal. Gusler v. Fischer, 580 F. Supp. 2d 309, 2008 U.S. Dist. LEXIS 75454 (S.D.N.Y. 2008). Amazon.com as one of the named defendants for a claim of copyright infringement. Amazon, along with other defendants, motioned for a dismissal, and in the alternative, a summary judgment. The court in finding that the product was not copyrightable, granted the summary judgment in favor of the corporate defendants. Hammer v. Amazon.com, 392 F. Supp. 2d 423, 2005 U.S. Dist. LEXIS 33398 (E.D.N.Y. 2005). Amazon is involved in an action where Jeffrey Hammer raised a number of claims including breach of contract, defamation, violation of copyright laws. The court granted Amazon’s motion for a permanent injunction and denied the motion for civil contempt sanctions. Hendrickson v. Amazon.com, Inc., 298 F. Supp. 2d 914, 2003 U.S. Dist. LEXIS 24498, 69 U.S.P.Q.2D (BNA) 1471 (C.D. Cal. 2003). This is a copyright infringement case involving the owner to the rights of the movie “Manson” and the unauthorized sale of this movie on Amazon. The Court maintained that Amazon.com did not have control over the sale in question; therefore, summary judgment in favor of Amazon regarding the copyright infringement claim was appropriate and granted by the court. Hendrickson v. Amazon.com, Inc., 181 Fed. Appx. 692, 2006 U.S. App. LEXIS 12720, Copy. L. Rep. (CCH) P29,180 (9th Cir. Cal. 2006). This is a case involving an appeal from a lower court decision, which granted attorney’s fees to defendants. The court vacated and remanded the case to the lower court to analyze and determine whether the attorney services here contributed the the defendant’s success. John Does 1-10. Case No. 12 Civ. 5453 (ALC) (JCF). United States District Court Southern District of New York, May 19, 2014. This was a copyright infringement case involving the plaintiff requesting to file an amended complaint to include a larger class of defendants who have not made sure music was properly licensed before distributing it. The court granted the motion to file a second amended complaint. Kousnsky v. Amazon.com, Inc., 2014 U.S. Dist. LEXIS 185880 (S.D.N.Y. May 13, 2014). This case involved Amazon moving to dismiss for insufficient and untimely service of process. The court ordered the complaint to be dismissed. Kousnsky v. Amazon.Com, Inc., 631 Fed. Appx. 22, 2015 U.S. App. LEXIS 20380, Copy. L. Rep. (CCH) P30,849 (2d Cir. N.Y. 2015). Here, plaintiff alleged the defendants infringed his copyright by publishing, selling, and distributing works of art created by the plaintiff. The plaintiff had an agreement with a publisher to allow the reproduction of his images for customers and did not limit any sales. The use of the image was authorized by the copyright owner so there is no evidence to show the defendants are liable for any misconduct. The court granted the motion to dismiss the case because plaintiff did not provide evidence to survive a motion for judgment. Masck v. Sports Illustrated, 2013 U.S. Dist. LEXIS 81677, 108 U.S.P.Q.2D (BNA) 1232, 2013 WL 2626853 (E.D. Mich. June 11, 2013). In this case, plaintiff took an iconic photo of Defendant Desmond Howard on November 23, 1991 at Michigan Stadium. Plaintiff found out that the image was being used by multiple defendants as well as in product listings on the Amazon platform. The court determined that the vicarious infringement claim must be dismissed for lack of factual allegation, while the contributory infringement claim survived dismissal, as Amazon was well aware of potential infringement. Plaintiff only stated that Amazon had the right and ability to supervise the content of its website Amazon.com. This did not meet the pleading requirement as there were no factual allegations from which it may determine that Amazon had the ability to supervise the infringing conduct. The product in question was not Amazon’s website but the merchandise sold on its website. However, Amazon was well aware of the potential infringement because plaintiff requested the products be removed from Amazon’s website. Masck v. Sports Illustrated, 5 F. Supp. 3d 881, 2014 U.S. Dist. LEXIS 30254, 110 U.S.P.Q.2D (BNA) 1591 (E.D. Mich. 2014). In this case, plaintiff took an iconic photo of Defendant Desmond Howard on November 23, 1991 at Michigan Stadium. Plaintiff found out that the image was being used by multiple defendants as well as in product listings on the Amazon platform. The court here was determining whether to grant defendants’ motion for summary judgment where plaintiff had waited to register the copyright until after several violations of the copyright occurred. With respect to claims against Amazon.com the motion was denied because questions of fact remained that needed to be determined by a court of law / jury. Milo & Gabby LLC v. Amazon.com. Case No. C13-1932RSM. United States District Court Western District of Washington At Seattle, April 2014. Milo & Gabby sued Amazon.com for multiple infringement claims. Amazon.com motioned to dismiss claiming that the plaintiffs failed to state a claim. The District Court agreed with Amazon and granted the motion to dismiss the III, V, VII claims. Milo & Gabby, LLC v. Amazon.com, Inc., 2015 U.S. Dist. LEXIS 143252 (W.D. Wash. Oct. 21, 2015). Milo & Gabby sued Amazon.com for multiple infringement claims. Amazon.com motioned to dismiss claiming that the plaintiffs failed to state a claim. After a jury hearing, the court adopted the jury’s finding that Amazon.com was not liable for “offering to sell” the alleged infringing products at issue in this matter. A judgment was placed in favor of Amazon.com and all claims against Amazon.com were dismissed. Amazon is immune from liability for infringement by third-party sellers under the DMCA. Okocha v. Amazon.com, 153 Fed. Appx. 849, 2005 U.S. App. LEXIS 23788 (3d Cir. N.J. 2005). Plaintiff, Okocha, was an author who appealed the order of the lower court that granted summary judgment in favor of Amazon.com in suit for copyright infringement, conspiracy, fraud, negligent/intentional infliction of emotional harm, and loss of future wages claims. The court of appeals affirmed the district court’s order and denied the plaintiff’s motion to expedite. Additionally, the court granted the plaintiff’s motion to file supplementary proof and a supplemental appendix. The court of appeals found that the author failed to show he owned a valid copyright of his book. Additionally, the plaintiff failed to show the bookseller copied the material. The court additionally found that the author failed to provide admissible evidence to show that Amazon and third party sellers had conspired to violate his copyrights. Amazon.com is a defendant in a copyright infringement case brought by Perfect 10. The district court preliminarily enjoined defendant, Google from creating and publicly displaying thumbnail versions of plaintiff copyright holder’s images, but did not enjoin the search engine operator from linking to third-party websites that displayed infringing full-size versions of the images. Both Perfect 10 and Google appealed. The court of appeals reversed the district court’s ruling and vacated the preliminary injunction regarding Google’s use of the thumbnail images. Additionally, the court reversed the district court’s rejection of the claims that Google and Amazon were secondarily liable. All other rulings were affirmed. Perfect 10, Inc. v. Amazon.com, Inc., 487 F.3d 701, 2007 U.S. App. LEXIS 11420, 99 U.S.P.Q.2D (BNA) 1746, Copy. L. Rep. (CCH) P29,380 (9th Cir. Cal. 2007). Amazon did not directly infringe, nor was it vicariously liable for infringement of third parties when it did not have control over third parties’ activities. Amazon’s motion for summary judgment as to indirect liability was denied, though, as there was a question of fact for the jury as to whether Amazon could have taken steps to alleviate infringement, and whether it would have been immune under DMCA. Ricchio v. Amazon.Com, Inc., 2012 U.S. Dist. LEXIS 52088 (E.D. Wis. Apr. 13, 2012). The court was determining whether plaintiff met the poverty requirements such that his motion to proceed in forma pauperis should be granted. The court found that here, plaintiff met the poverty requirements found in 28 U.S.C. § 1915. Plaintiff here has an income of $778 per month of which $754.16 goes to fixed expenses. The court here was determining whether the court should grant plaintiff’s motion to appoint counsel and defendants motion to dismiss. The court denied the plaintiff’s motion because it found that the case was uncomplicated and the presence of counsel was unlikely to affect the outcome of the litigation. The court granted defendants motion to dismiss because plaintiffs claim did not properly allege facts sufficient to state a claim for relief. Roe v. Amazon.com, 2016 U.S. Dist. LEXIS 33297, 118 U.S.P.Q.2D (BNA) 1070, 44 Media L. Rep. 1469, 2016 WL 1028265 (S.D. Ohio Mar. 15, 2016). In 2014, Defendant Jane Doe wrote a book entitled A Gronking to Remember and had it published by the Defendants Amazon.com, Inc., Barnes & Noble, Inc., Apple, Inc. and Smashwords. The Corporate Defendants offered the book for sale on their websites in both digital formats (Nook, Kindle, iBooks) as well as in paperback. The cover of the book contains a photograph of Plaintiffs taken during their engagement prior to their wedding. The Court concluded that the Corporate Defendants including Amazon.com Inc. were not publishers, and the corporate defendants’ motion for summary judgment was granted. The court granted the defendant’s motion to dismiss because plaintiff failed to state a valid claim and to allege factual allegations to support her claim. Amazon did not directly infringe, had no supervision over third-party’s infringing activities to be vicariously liable, and did not induce or encourage the infringement to be contributorily liable. Routt v. Amazon.com, Inc., 2013 U.S. Dist. LEXIS 26265, Copy. L. Rep. (CCH) P30,388, 2013 WL 695922 (W.D. Wash. Feb. 26, 2013). Amazon.com was a defendant in a suit where plaintiff, Sandy Routt alleged that Amazon.com’s associates had used her copyrighted photographs on the website without her permission. Amazon.com motioned to dismiss the amended complaint. Finding that the amended complaint did not change the court’s original analysis, the court granted the motion to dismiss. com v. Amazon.com, Inc., 584 Fed. Appx. 713, 2014 U.S. App. LEXIS 16794, Copy. L. Rep. (CCH) P30,647, 2014 WL 4252287 (9th Cir. Wash. 2014). This is an appeal from the United States District Court by plaintiff, Sandy Routt for the dismissal of her first amended complaint against Amazon.com. The court of appeals affirmed the lower court’s decision. This is a copyright infringement case involving Gibson, a self-published author, and Amazon.com. Plaintiff “demonstrate[d] a fundamental misunderstanding of the facts, the Internet, and the law.” Amazon’s motion for summary judgment was granted. Authors Guild v. Google Inc., 770 F. Supp. 2d 666, 2011 U.S. Dist. LEXIS 29126, 98 U.S.P.Q.2D (BNA) 1229, 79 Fed. R. Serv. 3d (Callaghan) 114, Copy. L. Rep. (CCH) P30,057, 2011-1 Trade Cas. (CCH) P77,387 (S.D.N.Y. 2011). This is a motion for final approval of the proposed settlement of a class action. The initial lawsuit involved Google.com’s digital library that collected over 12 million books. Amazon.com raised a number on antitrust concerns presented by the ASA. The motion for final approval was denied by the courts because they found the agreement had gone too far. This case involves a proposed stipulated protective order to keep documents confidential in a case where defendants are accused of both copyright and trademark violations. The court found that Amazon would likely have had to provide information during discovery that would have been potentially harmful if it were made available to competitors. The court ultimately granted the protective order in order to keep the requested information confidential and required the parties to sign a non disclosure agreement.